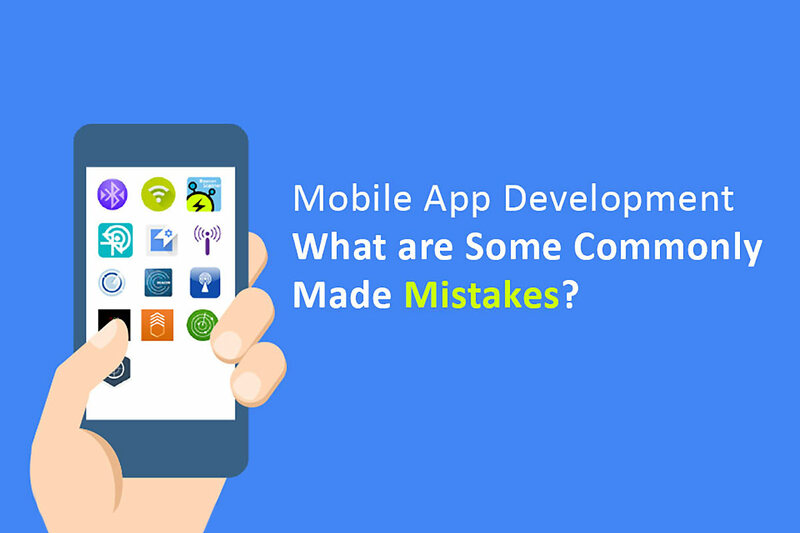 Mobile App Development – What are Some Commonly Made Mistakes? Over a couple of years, the mobile app development world has witnessed rapid progress in the methods and trends. As the technology is advancing, new mobile devices are increasingly being introduced nowadays. The opportunity to develop stunningly creative mobile apps for these mobile devices are no undoubtedly have increased to a vast extent. This advancement offers the expert mobile app developers a platform to showcase their talent and skills. But, to build an appealing, interactive and serviceable mobile app every developer needs to avoid these commonly committed ‘silly’ mistakes which then make their apps highly prevalent among the users. The primary objective following the development a mobile application is to draw and engage the users so that there are increasing chances of conversion and revenue. But, in several cases, app developers fail to recognize the exact requirement of the mobile app that then engages the user. There are numerous methods through which a user may choose a new mobile app. While a few are remarkably excited about all the functions, several users hate to be directed step by step employing the tutorials. Mobile app developers should always consider as not to target the users with cumbersome registration forms and advertisements that block the overall usability of the application. The goal is to offer the mobile app users a service with a sense of purpose at every stage and improve their experience by expecting their requirements and desires. The mobile application interface should always be instinctive, smooth and easy to use. It should be easy for users to understand how to use it instantly without many efforts. It is crucial to remember that, the common people using the app doesn’t necessarily have to be technically expert and implement an involved user interface proves the biggest turn-off. Buttons along with distinct functions add to the overall user interest that pushes them progressing towards further the app discovery. Of course, there are a plenty of apps in the current market with confusing UI’s and with several innovative functionalities but, a leading share of these mobile apps include a particular section where the functioning is clearly defined. Another significant point to consider here is that the user interface must be homogeneous and uniform throughout all the mobile app versions, users must not adjust according to the updates. While there are more than a million of apps present in Google Play Store and Apple App, mobile app developers require experimenting within an extremely competing space. Thus, while including a new mobile app in the market, app developers must focus on the platform which is one of the critical factors to consider. Costs associated with app development and its launch can be reduced to a vast extent if, the single platform is targeted. It is desirable to test the app performance and acceptability by the users by launching it on a single platform and then move steadily to other platforms. The mobile app design created by the designer gets to life by the app developer. So, there has to be the best coordination between the developer and the designer to ensure that the whole process is smoothly executed and ultimately result in the stunning mobile app. The success or failure of a mobile app at greater extent depends on the decisions made during the designing stage. The reason why it is crucial not to go deep in towards the development phase without outlining the interactions and the user-flows. The scalability and functionality of a mobile app get breakthrough boosts if, the developer and designer work together with each other, solving every issue with a combined effort. With a wide selection of devices available for each and every platform available nowadays, mobile app development is certainly not an easy task. Foretelling every user demand is a next to the impracticable task. There has to be a consistent attempt to extemporize and improve the app features based on the reviews and ratings received. Above are some of the mistakes highlighted which every developer must avoid to develop a scalable and user-friendly mobile app. Deepal Bhatnagar is a content writer, and she is associated with Baymediasoft, a Top Mobile App development company in the USA. She loves to write and share knowledge in the digital media marketing and mobile app development domain.